Beyond the hundreds of thousands of employees who are either working without pay or furloughed indefinitely, the people those employees would have been working with and for are now feeling the sting of closed offices, delayed payments and missing services. 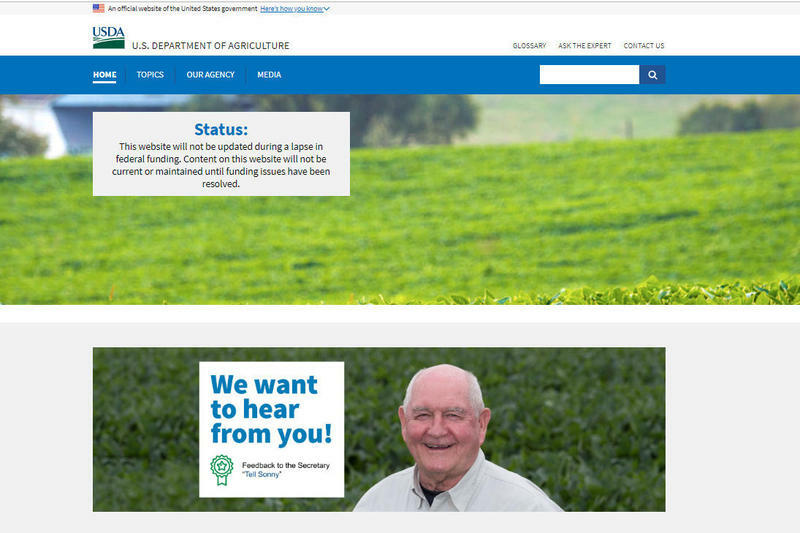 In Iowa, all U.S Department of Agriculture Farm Service Agency offices are closed. At this time of year, farmers might visit those offices to apply for loans or to certify their harvest numbers for the Market Facilitation Program (the money designated to help farmers who were impacted by the trade war in 2018), among many other reasons. North-central Iowa farmer Brent Renner got his production information in before the shutdown, and his tariff-relief payment was direct-deposited shortly after offices began closing. He said last week he hadn’t yet heard of area farmers experiencing true hardships, but also acknowledged that in the wide scope of agriculture nationwide, there may be bigger impacts elsewhere. A couple of hours to the west, Bruce Rohwer farms in O’Brien County and was a little behind where he’d hoped to be at the end of December. He did get his final harvest numbers submitted for the Market Facilitation Program, but not in time for his money to get sent. “I’m not quite sure when that payment will actually come,” he said, though that’s not his biggest shutdown-related concern. The USDA was scheduled to start releasing reports this week showing total agricultural production in 2018 and expectations for the world supply and demand in 2019. Rohwer said the information is critical for farm planning because it helps farmers decide how many acres of which crops to plant. Rohwer said after several years of low prices for corn and soybeans, exacerbated in 2018 by the tariffs between the United States and China, as well as other trade uncertainties, farmers are looking for ways to tweak their businesses to make it through to a better economy. A slight change to the number of acres in soybeans versus corn, for example, could be the difference between breaking even, losing money or turning a profit. And the data farmers expect to see from USDA at this time of year help them make those careful calculations. USDA provided this list of programs and services that would be affected by the shutdown, but with every additional day, there is less clarity about exactly what is operating. For many federally funded programs, the critical detail is whether federal dollars were in hand when the shutdown began. At Iowa State University, 75 percent of external money for research comes from federal agencies. Vice President for Research Sarah Nusser said the money flows from funding agencies to the university throughout the year, so for the short term most projects won’t be affected, especially as this is a slow time of year with the university on semester break until next week. “Our larger concern is if this is prolonged, that the funds that we already have available to spend will be expended and research projects would stop,” Nusser said. Political science professor Amy Erica Smith had planned to spend some of the last days before classes resume reviewing applications for a prestigious graduate student fellowship funded by the National Science Foundation. “Right when the government went into shutdown, we got an email saying the government is officially in shutdown, the online system is off, stay put for further notice,” she said. For her, it’s an alleviation of some extra work. She knows she’ll be called upon to do the job eventually, but for right now it’s not a problem. For now, there are few indications from Washington about when that might be.